At this year’s Esri User Conference in San Diego the biggest psychographic news of the year was finally presented. That’s right, folks, the completely overhauled and revamped Tapestry Segmentation dataset has finally been released into the wild. And nobody was more excited about this than our team at Stratasan! The new tapestry data still operates on the same principles as the old one, but with some changes that make it easier to use and understand. Esri clearly has spent a lot of time making this product better [Esri's data is the best out there, which is just one of the many reasons Stratasan uses it!]. Not only is the data updated, but so is the look. The clip art segment designs are gone and have been replaced by sleek designs that make sense. Furthermore, each segment has a 4-page PDF available online that includes specific information. As of the writing of this post, the new tapestry data is available on the web version of BAO only. The desktop version that corresponds with Stratasan's mapping tools is scheduled for a September release. Also, if you’d like to check out these changes for yourself, go to esri.com/tapestry. At the site you’ll be able to see the new segments, design, and really dig into the amazing changes in the product! If you have any questions about the new Tapestry data feel free to contact us, we’d be happy to answer whatever questions you may have! LifeModes are what changed the least with this update, but they did change! The old Tapestry system had 12 LifeModes, while the updated one has 14. The reason for more is to help cover a wider variety within our population. Overall, this is a big improvement, but not one that you will really notice. There are now 6 Urbanization Groups rather than the 11 in the old version. This is a great example of how Esri made this simpler and more actionable. They have effectively aggregated the repetitive rural, urban, and suburban groups into the smaller list of 6. This is exciting because you’ll know where these groups of people live and be able to understand the landscape in which they live more quickly and more easily. There are now 68 individual Tapestry segments (the old version had 66). Rather than continuing the practice of having them numbered from 1-66 they are now classified under their respective LifeMode code. For example, LifeMode 1 is “Affluent Estates” and it’s top segment is “Top Tier,” therefore, “Top Tier” is segment 1A. This is a MAJOR change and it’s a GREAT one! In the old system, the number of the segment translated to "better" or "worse." While this generally was true, there was actually no rank among similar segments… they were just different [Which is the whole point of tapestry!]. That issue is gone now with this new naming system, and we believe it is going to make analysis based around tapestry more effective! You will also notice that many of the individual segments have the same names [Yes, “Laptops & Lattes” is still there], while others are totally new [Segment 4A: “Soccer Moms”]. The biggest issue with the new system is that it cannot be crosswalked over from the old one. To clarify, the segments in the old system do not have a corresponding segment in the new one, there’s not a 1:1 match… and there won’t be. Because of this Esri has decided to provide a 2014 update of the old system along with the launch of the new one. The idea being that you can see what your Tapestry make up looks like in the previous version and in the updated version at the same time. This will allow for a gradual and easy onboarding for us and our customers with the new system. This service will only be available for the 2014 dataset. 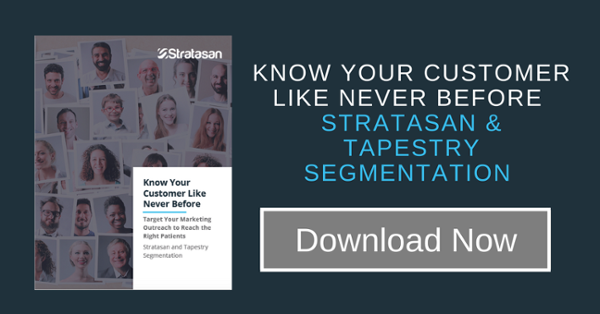 So, if you use tapestry you’ll need to learn the new segments in 2014 because in the 2015 data the old ones will be totally gone. If you have any questions regarding the new Tapestry information, feel free to contact us!